Nike has launched a new tool to help apparel designers make informed decisions about the sustainability of the materials they choose. 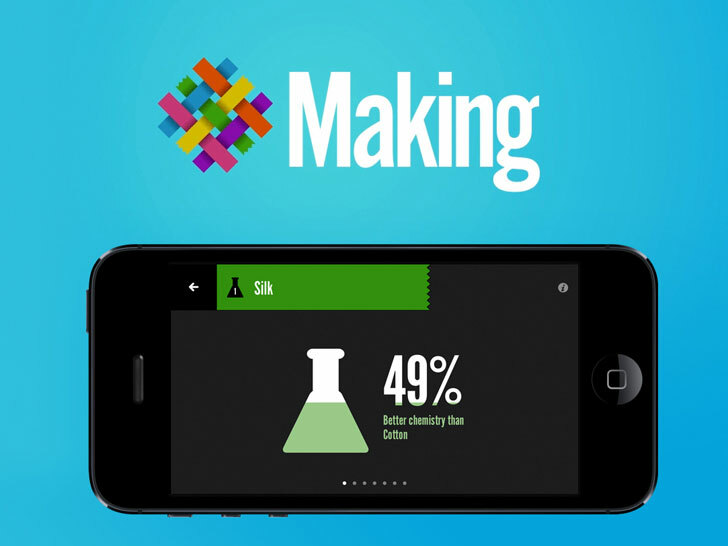 Dubbed "Making," the free app scores 22 frequently used textiles based on data from Nike's open-source Materials Sustainability Index. Each material is further ranked according to its specific environmental impact on water, chemistry, energy, and waste, as well as its use of recycled or organic content. The global apparel industry is expected to produce more than 400 billion square meters of fabric annually—enough to blanket the state of California—by 2015, according to industry numbers. Even today, dye houses use up to 200 tons of water for every ton of fabric they process. The global apparel industry is expected to produce more than 400 billion square meters of fabric annually by 2015. The sportswear giant worked with the London College of Fashion to solicit additional feedback during Making’s development. Nike also invited students from the school’s Centre for Sustainable Fashion to use the app to create a capsule collection of athletic uniforms for the 2016 Olympic games in Brazil. The global apparel industry is expected to produce more than 400 billion square meters of fabric annually—enough to blanket the state of California—by 2015, according to industry numbers. Even today, dye houses use up to 200 tons of water for every ton of fabric they process. The sportswear giant worked with the London College of Fashion to solicit additional feedback during Making's development. Nike also invited students from the school's Centre for Sustainable Fashion to use the app to create a capsule collection of athletic uniforms for the 2016 Olympic games in Brazil.